Drawing a frog is harder than you would think. They’re all folded legs and arms and googly eyes. 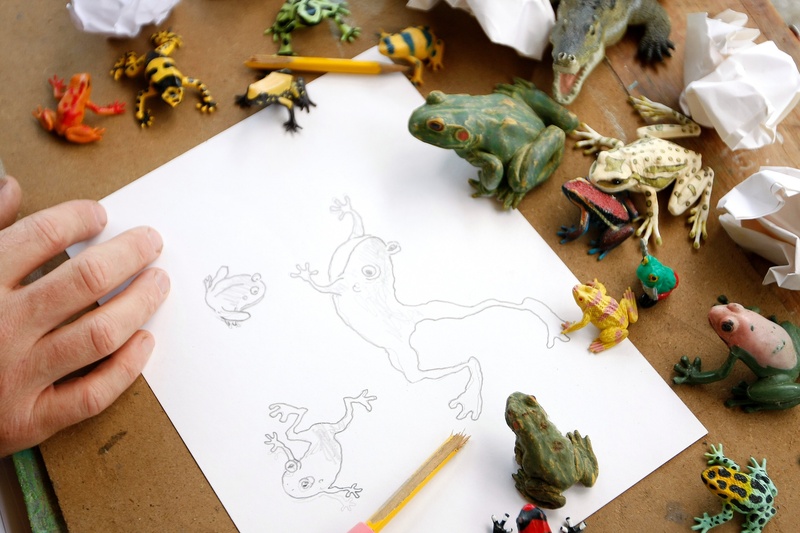 But drawing millions of frogs turned out to be fun. 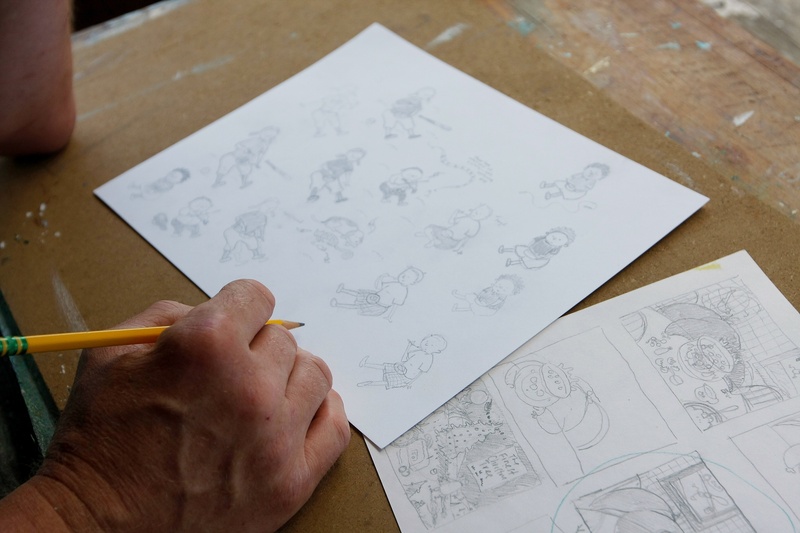 Sketches of all the characters are drawn until they seem just right. 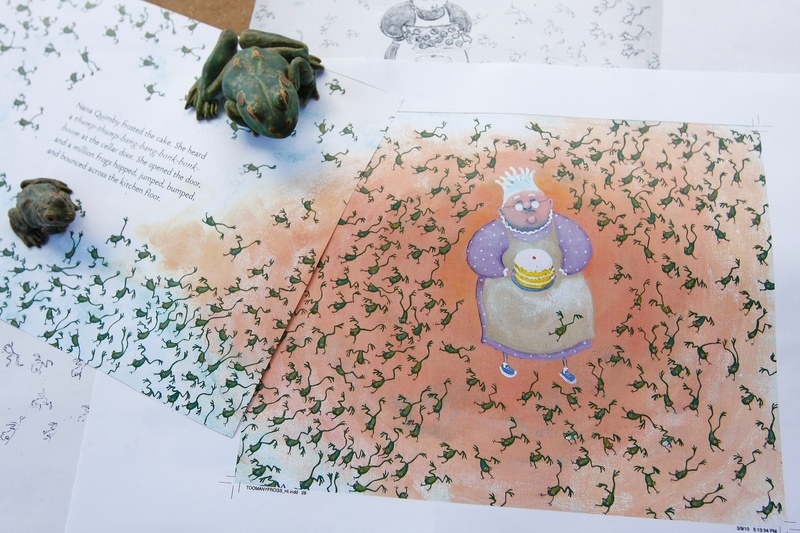 Each illustration is drawn over and over. Whoever invented erasers was on to something. 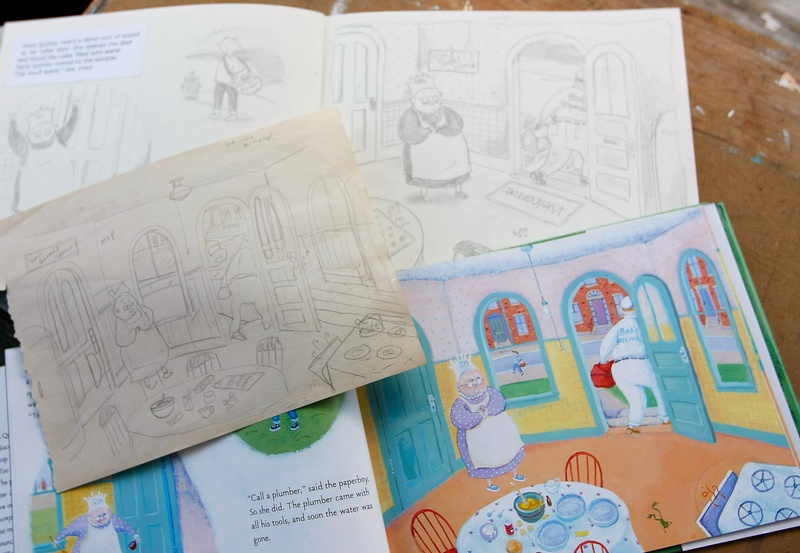 Nana Quimby and I spent a lot of time in her kitchen. She baked a cake. I painted frogs. 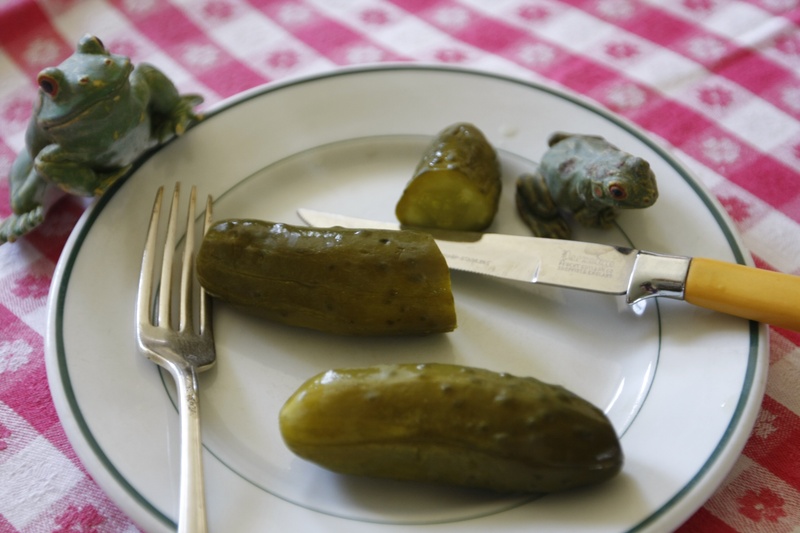 Have you ever been told that pickles are made from frogs? They are not. If I had known we could have been on a hunt for Frogs on our yard sale adventures. 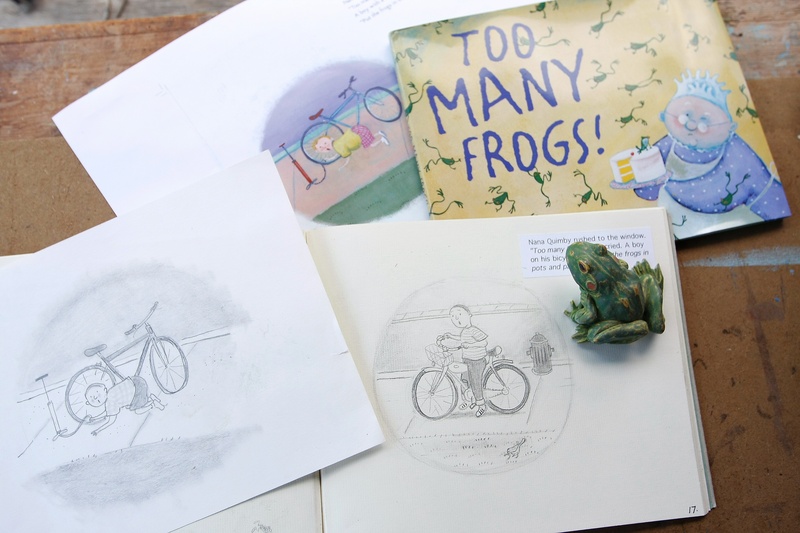 Thoroughly enjoyed the frog journey…thanks!